Expedite the paperwork at your first visit. 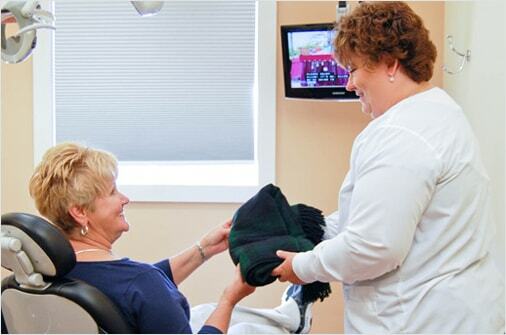 Pinnacle Family Dentistry is a local Florence dental office where you come first. Dr. Mulzer and our team are dedicated to providing you with exceptional care in a modern, inviting setting. It’s our goal to make sure every time you leave our practice, you’re leaving with a bright, happy smile! 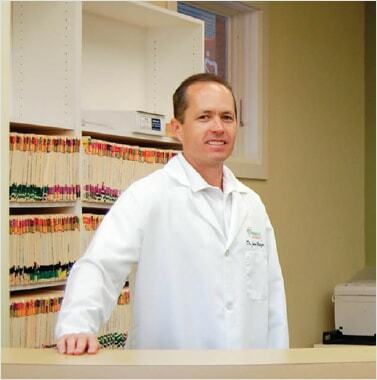 Dr. Jason Mulzer completed his undergraduate studies at Vanderbilt University and then went on to earn his Doctor of Dental Surgery degree from Case Western Reserve University School of Dentistry. He continues to hone his skills by completing extensive training each year in all areas of dentistry, from general and preventive treatments to reconstructive and cosmetic care. Dr. Mulzer also offers Invisalign® teeth straightening, dental implants from start to finish, and one-visit crowns. Dr. Mulzer believes in treating patients like family. He respects each person’s personal goals for their oral health, and he makes it a habit to be on time, every time. When he’s not at the practice, Dr. Mulzer enjoys traveling, cooking, and spending time with his wife and their three daughters. When you visit our Florence dental office, you’ll find special patient amenities to help you feel more at home as well as leading-edge technology to help you experience effective, efficient care. X-rays are an essential tool for us to understand your dental health and plan your treatment. We use the images to see decay and cavities, infections, gum disease, abscesses, and other abnormalities. Pinnacle Family Dentistry utilizes digital X-rays, which emit up to 90% less radiation than conventional X-rays, and they don’t require any chemical processing. That means we can keep you more comfortable while also receiving images faster. Traditional dental crowns require multiple visits and a couple weeks to complete the whole process. We’re proud to cut down all of that into just one visit with our CEREC® technology. This modern, all-in-one system allows us to design, mill, and place your dental crown in a single appointment so you can leave that same day with a restored smile. Learn more on our crowns page! With intraoral cameras, we can show you exactly what we see when we look at your teeth and gums. We use these cameras to take detailed images that we then project onto a screen for your viewing. You can think of it as getting a dentist’s perspective of your own oral health! We’ve found that when patients are able to get a clear view of any issues for themselves, they’re able to make much more confident decisions about their dental care. Want to speed up your check-in process? Fill out our new patient forms before your visit!